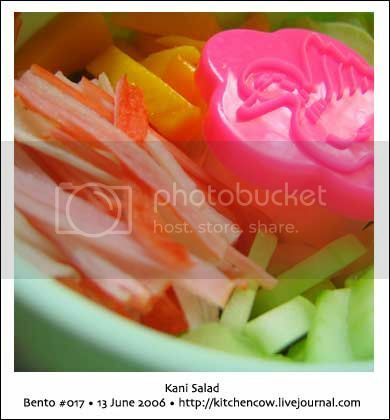 Had iceberg lettuce and fresh mangoes lying around the house, and since I didn’t want them to go bad, I decided to go with a light salad today. 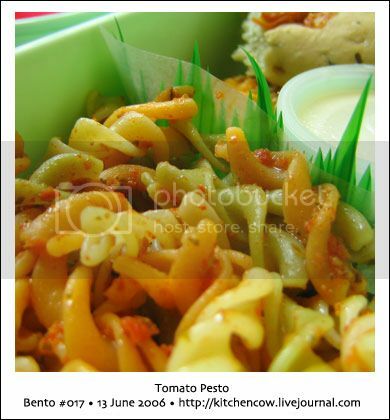 And some pasta because I couldn’t get enough of this yummy bottled sun-dried tomato pesto we purchased over the weekend. Left: Bite-sized iceberg lettuce leaves, sliced fresh mangoes, sliced seeded cucumbers, & shredded kani sticks. 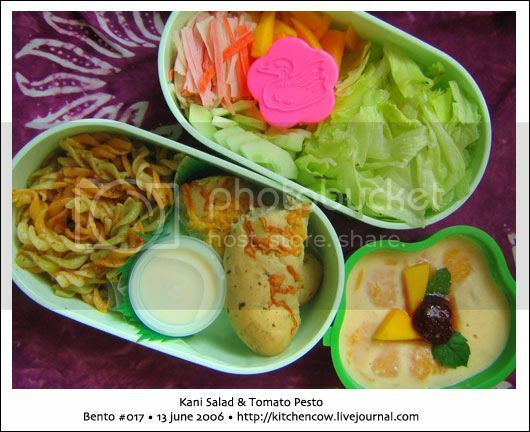 The pink container holds kewpie mayo for dressing. Right: Tri-colore fusilli with sun-dried tomato pesto, pesto bread, and a little container of milk for my pudding dessert. 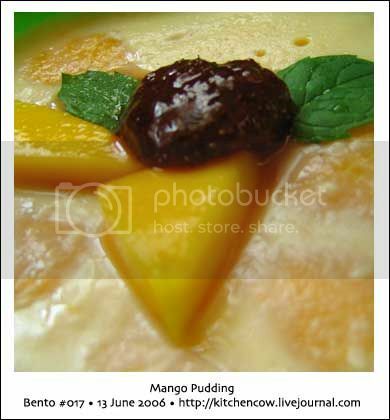 Dessert: Home-made mango pudding (I made a big batch so expect this week’s bentos to have mango pudding :P) garnished with teeny-tiny mango bits, a bit of strawberry preserve and mint leaves.